When I was in high school my excuses for missed assignments were the stuff of legend (at least I thought so). I usually had some type of reason that made perfect sense to me, but really must have confused the heck out of most of my teachers. Then again, I’m betting they knew…because as a teacher I would have known as well! 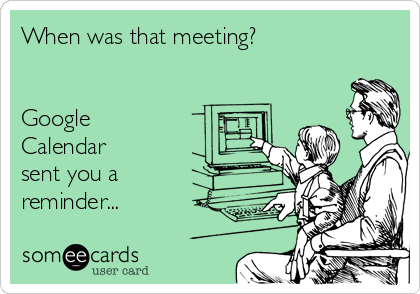 This is our first year of a full Google Apps for Education (GAFE) roll-out K-12 in our district. There have been some bumps in the road while migrating our email, but overall things have gone smoothly on the technology side. 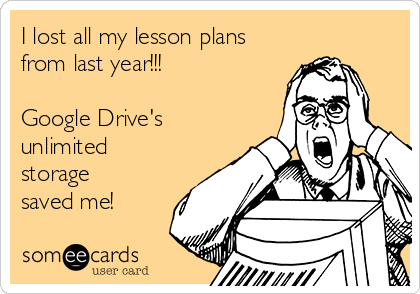 As teachers, students, and administration get used to GAFE it’s interesting to see just how powerful the shift has been. It takes away so many “problems” and “excuses” that we all (me included) used to have in the education world. 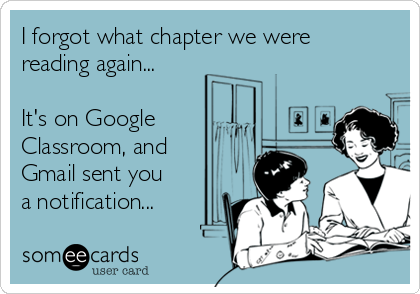 If one thing is for sure, GAFE has proved that the digital world of learning looks a lot different than the world of learning I grew up with. Here are some excuses that just don’t work anymore! 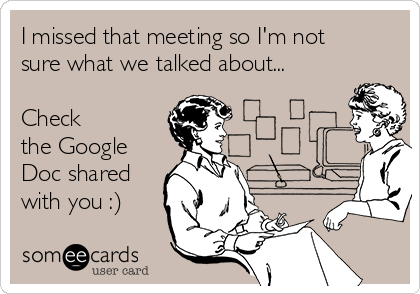 HT to John Spencer for showing me the power of someecards. One of my students changed the settings on a shared presentation for 18 out of 30 classmates. Said he didn’t do it. 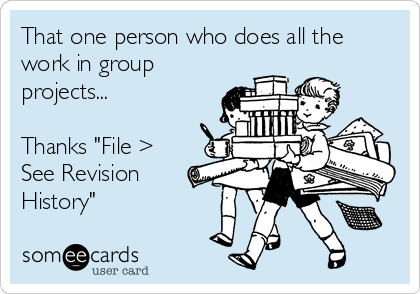 Didn’t know about revision history. 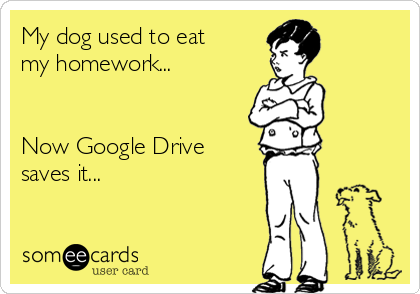 Sometimes kids come to see me claiming that Google Drive did not save their files. 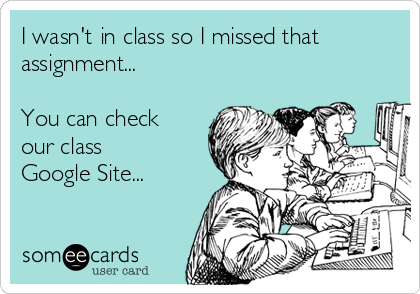 Usually I find they have both their personal and school google accounts open. Sure enough, the file ended up in the Drive in their Personal Account.